Planting a vegetable garden isn’t just for all of those green thumbs out there. Many people – including the first family – have planted their own personal victory gardens to offset their grocery costs and provide them with fresh, local produce throughout the spring, summer and even into the fall. 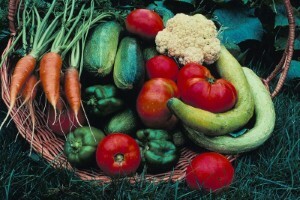 The National Gardening Association reports the popularity of growing fruits and vegetables at home surged in 2009 as the nation’s economy soured. Now that spring 2010 is here and the economy continues to struggle, many gardening experts say now is the time to plan a garden. Fathers don’t need a large space to grow enough vegetables for their families, either. "If you use conventional gardening methods, the recommendation is to allow 1,000 square feet of garden space for every member of the family," Chris Becker, regional agent for the Alabama Cooperative Extension System told the Times Daily newspaper. Individuals who live in apartments or other homes without yards can grow plants like tomatoes in containers on a balcony, terrace or stoop. Many areas also have community garden sites for inner-city and other apartment dwellers to use. Or, if you know someone with extra land to spare, consider striking a deal to use some of the property in exchange for a share of your harvest. Talking to experienced gardeners or professionals in your area can help you to determine which crops will thrive in your area and when to plant them.